There’s a difference between a house and a home – and at Carolina HomeInspect, LLC, we help bring that difference into focus. We conduct residential inspections, radon testing, water testing and foundation inspections in Rock Hill, Fort Mill, Lancaster and surrounding South Carolina areas. We have also partnered with an engineering firm to provide engineering certificates for new or existing manufactured housing foundations. Every part of your home will be put under the microscope when you choose Carolina HomeInspect. For radon testing, home inspections and other essential services contact us as soon as possible. Our inspections include thermal imaging to give you an in-depth look inside of your home. We complete our home inspections and tests, such as radon and water, in a prompt and efficient manner for your convenience. Our easy-to-read reports make it easy for you to understand issues and take proper action. With experience in the residential building industry going back to 1993, our inspector understands that building materials and building codes change. In an effort to better serve you, we stay up to date on frequent changes in residential construction through continuing education. Our goal is to provide you with a thorough inspection and report. We will make every effort to afford you a quick, easy and informative experience. We’ll provide as much information as possible during the inspection and prepare an easy-to-read and detailed report of our findings for you to read once it’s done. 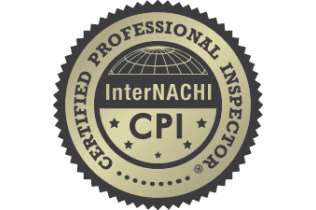 Thank you for considering Carolina HomeInspect, LLC for your residential inspection in Rock Hill, Fort Mill, Lancaster and surrounding South Carolina areas. Contact us today to schedule your service. Great experience! Prompt, detailed report from Tim Mascarenas. Excellent service and value.